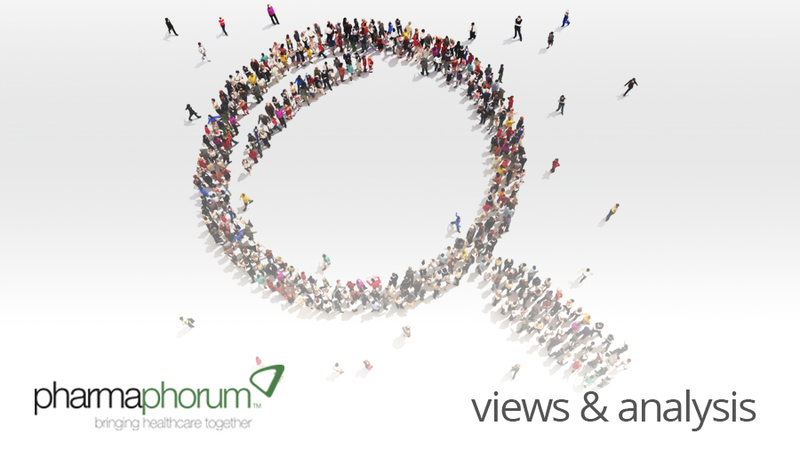 After live blogging and tweeting from the first day of the eyeforpharma Barcelona event on the 18th March, Paul Tunnah summarises some of the key points to emerge from proceedings. The first day of the eyeforpharma Barcelona event saw a multitude of speakers address topics spanning value partnerships, sales excellence and multichannel marketing. Overall, the presentations covered quite an expanse of ground, but the following key themes emerged. If patient-centricity is to be more than just an industry buzzword then it needs to be defined by actions as well as words. A number of the early sessions set the scene for this, with Chairman Nigel Brooksby focussing his opening discussion on partnerships and the need for change in the pharma industry, which is being driven towards broader customer-centricity. Jane Griffiths, EMEA Chairman for Janssen, made an empassioned plea for the industry to start fighting its corner to halt the decreasing spend on medicines that are beneficial in the long run, by first restoring trust through increased transparency around data and commercial interactions. She also highlighted how patient-centricity has to ensure market access is not the new endpoint, but goes beyond to ensure medicines are taken as directed. EFPIA Director General Richard Bergstrom asserted a focus on great science, with true patient-centricity starting with the scientist, while UCB’s Lode Dewulf (Chief Patient Affairs Officer) highlighted the background to the empowered patient movement and how the pharma industry must adopt true customer service approaches common to other industries. However, Mark Petersen from Boehringer Ingelheim later questioned too much focus on being reactive to patient feedback, highlighting Ford as an example (when asked people wanted a faster horse, if you recall) and also how Apple has always been more product-centric than customer-centric…and done rather well. The conclusion seems to be that building structures around patients is important, but not being solely directed by them. Technology is an overwhelming theme at this year’s event, with the exhibition hall dominated by tech-savvy companies displaying their latest offerings. However, a warning that echoed from several presentations was recognition that technology must be an enabler, rather than viewed as the endpoint in itself. For example, Gareth Dabbs and Barry Crowther, from IMS Health, highlighted the different applications of technology through combination platforms, e.g. front line iPad-delivered CRM with cloud-based sales management analytics, while also touching on how mobile technology and social media can bridge personal and non-personal customer interaction, with social media also acting as a good listening tool for directing downstream activity. Morten Hjelmsoe, from Agnitio, went a step further and pleaded with pharma to stop trying to centrally command and control and instead empower the representative to use technology for more personal engagement with doctors. An approach that can, in theory, combine the cost model of a broad, generic sales approach with the outcomes of a highly personalised and targeted one. It does, however, require a mind shift from sales managers / senior management to let go! In recognising technology as the enabler, a healthy focus emerged on having the right people, with the right skills to deliver an effective patient-centric sales and marketing strategy. Allan Mackintosh, of Grunenthal, painted a starkly honest picture of the challenges faced in rolling out a key account management strategy, with the conclusion being that it is worth it but it takes far longer than you think and there are hurdles to overcome. Later on, Mikael Petersen from Biogen Idec, seemed to reinforce this point, proposing that too many pharma companies get lost in the ‘valley of despair’ while trying to drive change through, lose faith and turn back. His potential solutions involved empowering sales leaders / innovators to pass on their expertise to others through advanced learning techniques such as gamification, a neat internal use of technology to drive better external customer engagement. In conclusion, day one of the event presented an array of novel technologies and techniques for driving better engagement with customers, based around being more patient-centric, but the biggest block remains the behavioural changes needed to implement this effectively and for the long term. Paul Tunnah is CEO & Founder of pharmaphorum media, which connects thought leaders and ideas across healthcare to support the pharmaceutical industry in delivering innovative medical solutions. It combines industry-leading strategic and tactical media services with the globally recognised news, information and insight portal pharmaphorum.com, working with pharmaceutical companies, service providers and broader healthcare organisations to help communicate their thought leadership and connect them with relevant stakeholders. For queries he can be reached through the site contact form or on Twitter @pharmaphorum. Closing thought: What does patient-centricity mean for pharma?